Yesterday’s NY Times tells us a new Jonathan Franzen novel (Purity) is in the works as well as a forthcoming biography (Jonathan Franzen: The Comedy of Rage). I read this just after I read about the new Bob Hope bio by Richard Zoglin. That book emphasizes the glory days, and there were many, but tells of his being shunned for continuing past his prime. He lived to 100. It surprised me that a biography (by Philip Weinstein) is coming out so soon on Franzen – he’s 55. Strike while the iron’s hot, I guess. Looking forward to both. This is a fast mystery read by Brad Parks. His Newark newspaper reporter, Carter Ross, is an ongoing character though this is the first Parks I have read. A big development is starting to break ground, and has the potential to provide jobs and revitalize the neighborhood. But people are getting a flu like sickness that comes and goes, then they begin to break bones, and die. The paper is called by one of the victim’s relatives and Carter takes the case. The project turns out to be a scam, taking money for hazardous cleanup of the area, with developers father and son vying to see who can out-scam the other and get out of town. Some humor but mostly run-of-the-mill characters and not much suspense – as I said, a fast read. The musician, John Darnielle, has written a very interesting book which is a difficult read for me. (The cover is a labyrinth which should have been a tip off.) He begins with the aftermath of an accident which disfigures the narrator, Sean, and then goes forward and backward with his story. He invents a role playing game to be played by mail called Trace Italian and has players from all over the world participating. At some point the game starts to be played in real time and not by mail. This is as far as I got and when I tried to pick it up again a week later I was lost. This is a book that requires concentration and contemplation. I plan to give it another try. The author is a writer, composer, singer and guitarist with the band Mountain Goats. This is a seven novel series by Diana Gabaldon that combines romance, historical fiction and fantasy. I may be giving it short shrift but I think it will be heavy on romance. I liked the characters at the beginning. Claire and Frank Randall are united after a separation by WW II. They are in Scotland so Frank can do some research on his family history. Claire has gone hiking and looking for medicinal plants (she is a nurse) and is near a stone cropping (Craigh Na Dun) when she hears a buzzing noise, and while touching one of the stones, faints. She wakes up in the world of Scottish castles and clans. Sort of believable fantasy so far – but it began to lose me when she is abducted (by the ancestor Frank is searching for!) and saved by the Clan MacKenzie and spirited off to Castle Leoch and accused of being a spy. About here the intrigue got a little too “fantasy” for me, with clan feuds and rescues that put me in mind of the Robin Hood pictures of my childhood. And the romance theme started kicking in hot and heavy. So I probably won’t finish the series. I think readers who like romance novels and historical fiction would love this author. 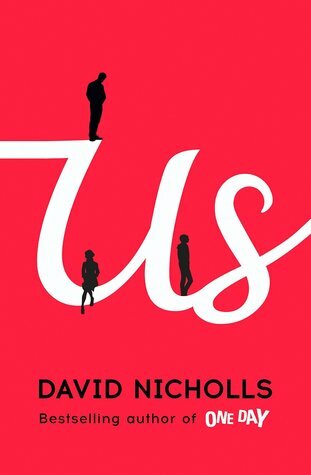 This “us” is an English family of three – Douglas, scientist, Connie, artist, and Albie, son (nicknamed Egg). A family vacation in Europe (a Grand Tour for Egg) is planned for the summer before he leaves for college. And after this Connie feels it would be a good time to end the marriage. Douglas is stunned. And so the book goes back and forth between when they met and how things are now. And they swing from sweet and funny to bittersweet and hurtful. It wouldn’t be much of a serious read (there is some good discussion of museums and art) but the humor enhanced by clueless Douglas and bohemian Connie is making me laugh and enjoy Us. Adult Summer Reading Book Reviews Are In! Summer Reading for All Ages!